Are you looking for polyurea flooring? 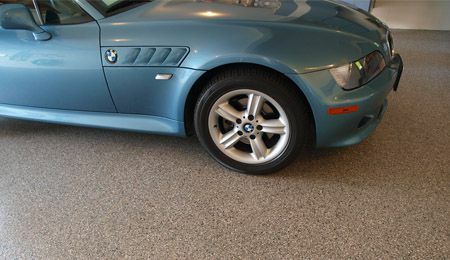 Potomac Garage Solutions has been offering a wide variety of polyurea flooring throughout Maryland, Virginia and Washington DC areas since 2003. Basements can be wonderful. It's a great deal of space that's generally out of the way. Basements can be used for storage, extra rooms, as a space for entertaining, or all of the above! However, basements also pose their own problems. Since they are underground, and we live in a relatively moist environment, basements are prone to mold damage. This makes flooring choices particularly sparse because the flooring should be resilient and mold-resistant; this generally rules out carpet and tile. Many people elect to just stick with the original concrete flooring with a layer or two of paint, but even this doesn't solve many problems. In short, it is very difficult to find basement flooring that has the qualities that basement floors require, while still being aesthetically appealing. Don't worry, though, there is an option that solves all of these problems: polyurea floor coating. 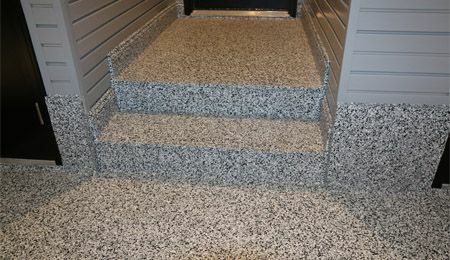 Polyurea is perfect for basement floors. It is a kind of special polymer that has typically been used as coating for pipes, water plants, and anywhere that requires strong, moisture resistant coating. This makes it great for basements. It's even better than epoxy floor coating; it's four times stronger and more durable. It's also more flexible, which makes polyurea flooring more comfortable underfoot, easing pressure on feet, knees, and backs. Of course, it's strength also make it resistant to chemical and salt damage, so even if cleaners, paint thinner, or any other chemicals you may store in your basement gets spilled, you just have to wipe it up and forget about it! 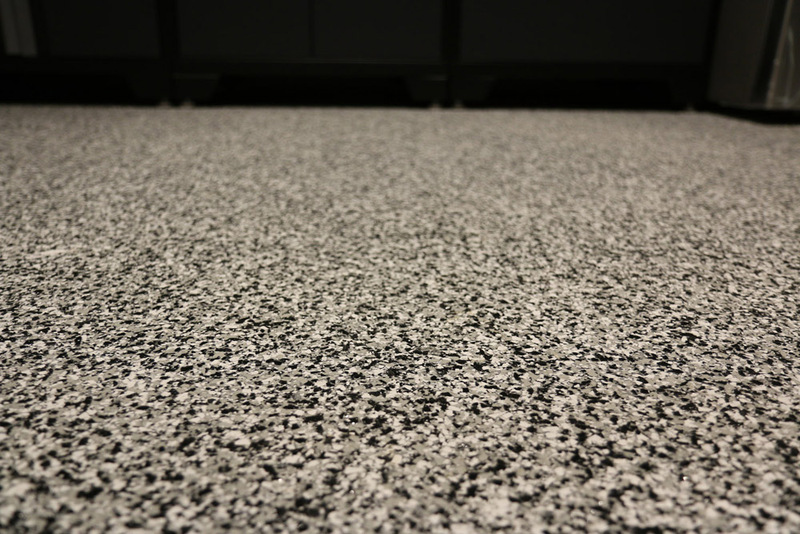 The key feature, however, that makes polyurea flooring most suitable to basement flooring is its moisture resistance. Mold and mildew can cause serious damage to the structure of your home. It can grow on almost any material and spread widely breaking down what it grows on. Additionally, mold presents a serious health risk, including respiratory infections and even cancer. Therefore, it's important that you take steps to avoid mold and mildew. Polyurea floor coating can help you do just that! Because moisture does not get absorbed into polyurea (unlike concrete or epoxy coating), mold is not allowed to grow. Finally, there are cosmetic benefits to polyurea. Even a painted concrete floor can chip and peel. and will still show if there are any flaws in the floor. 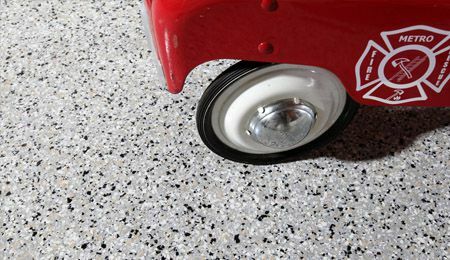 When polyurea is applied, the original flooring is ground down to create a new surface for the coating to stick to, and evenly applied so that you have a smooth, fresh floor. 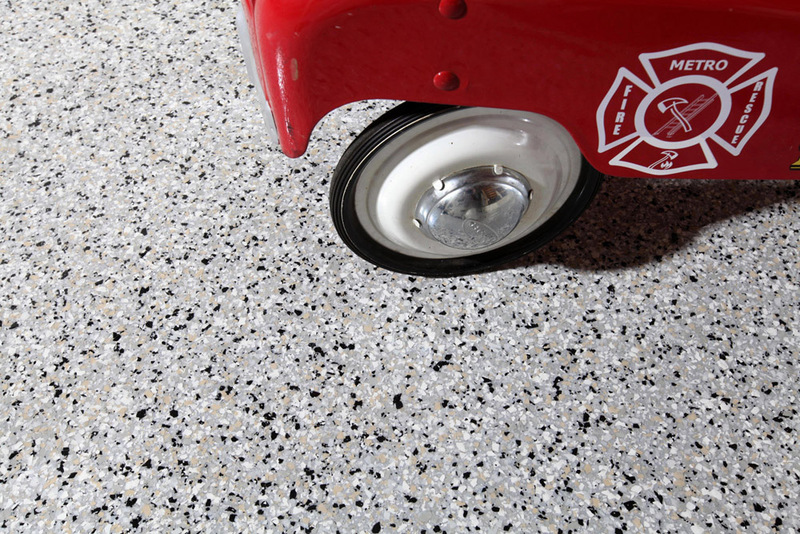 Furthermore, there is a huge array of color and design choices in polyurea. It is also applied with a layer of acrylic or vinyl chips which not only adds a pleasing decorative flair, but also safety. The texture prevents people from slipping on it, even when it's wet. 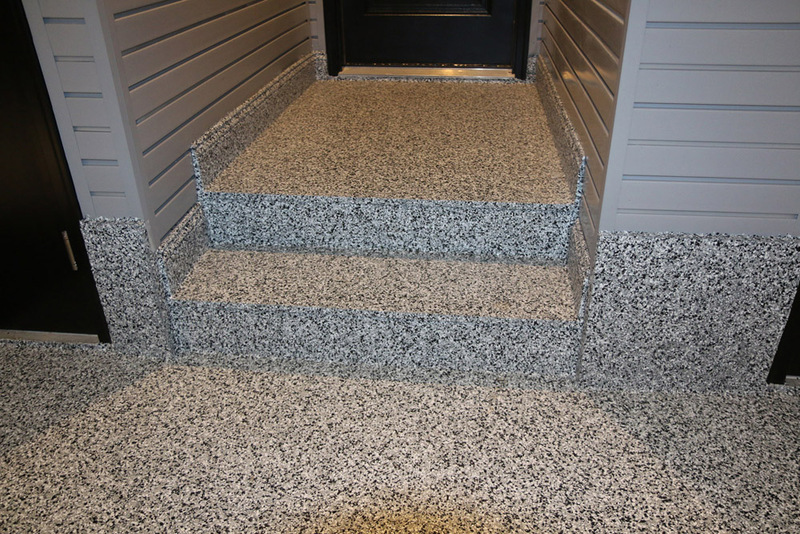 Polyurea can add so much to your basement including safety. utility, and class. 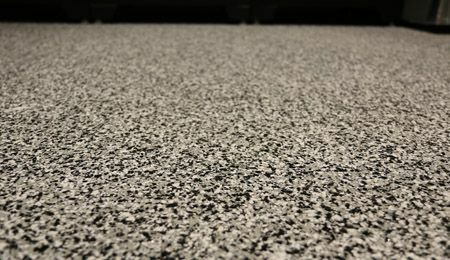 So, when considering what to do with your floor when you finish or redo your basement, consider polyurea floor coating. 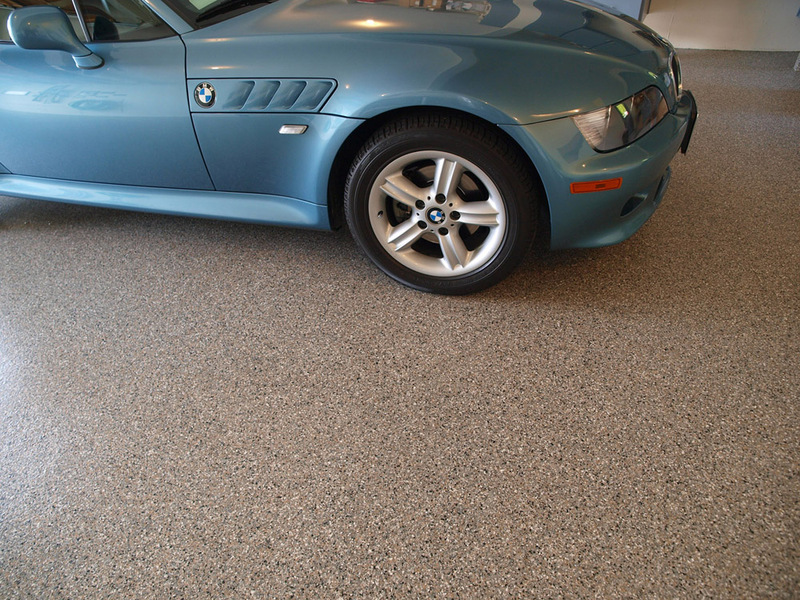 For more information about our polyurea flooring, contact Potomac Garage Solutions today at 240-650-2622.